BUY ONE AND GET ONE HALF PRICE TODAY! – Just add two Tie Pins to your Basket! Thin Blue Line needs your support! The line keeps getting thinner with all these budget cuts, so we have to look after each other. Police Discount Offers have decided to support Call4backup.org, which is a charity set up to help Police staff with mental health issues and we are proud to support them! Get your hands on a unique Tie Pin from Police Discount Offers. Every sale means £1 donated to the CALL4BACKUP.ORG Charity. Thank you for your continued support over the last year. We are continuing to bring you some of the best deals we can source from around the internet. Police Discount Offers have recently teamed up with CALL4BACKUP.ORG. This a new charity which has been set up providing a strictly confidential support network of serving and retired police officers who are available through multiple contact methods to provide advice and direction on all manner of circumstances affecting the day to day lives of employees of the police. Only Police Employees truly understand how the job affects our everyday lives. 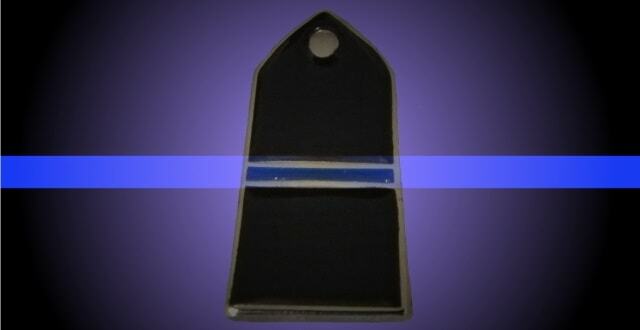 As a result, we are supporting this excellent charity by selling our unique Police Epaulette Tie Pins, which have the thin blue line and they are priced at £4.50 each. We have 100 of these to sell right now, so get in quick and support the cause. For every one of the tie pins sold we are donating £1 to the CALL4BACKUP charity. Payment is through PAYPAL. Please allow approximately 7-8 days for process and delivery. 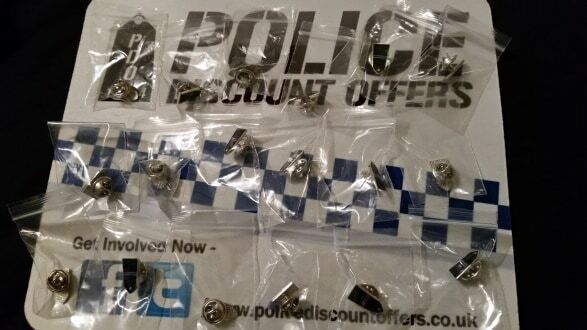 Any questions regarding the tie pins then please email support@policediscountoffers.co.uk. Plenty of these left in stock! Get your hands on them…..